Intermix was an electronic music group in the 1990s, and consisted of Bill Leeb and Rhys Fulber. 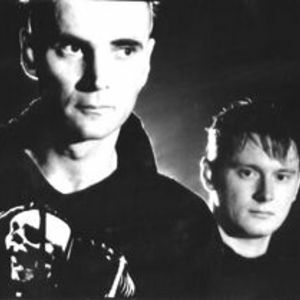 Unlike their other projects (including Front Line Assembly, Noise Unit, and Delerium), Intermix shows somewhat more of a techno influence, while Delerium is more mellow and ambient, and Front Line Assembly has a very industrial style. The first two albums Intermix released sound very much like their related project Delerium, albeit with a much more prevalent techno influence. Unlike their other projects (including Front Line Assembly, Noise Unit, and Delerium), Intermix shows somewhat more of a techno influence, while Delerium is more mellow and ambient, and Front Line Assembly has a very industrial style. The first two albums Intermix released sound very much like their related project Delerium, albeit with a much more prevalent techno influence. The third Intermix album, however, sounds completely different from the first two - showing a more ambient and ethnic/tribal influence - and could actually have been released as a Syn&aelig;sthesia record or possibly an early Delerium record instead.